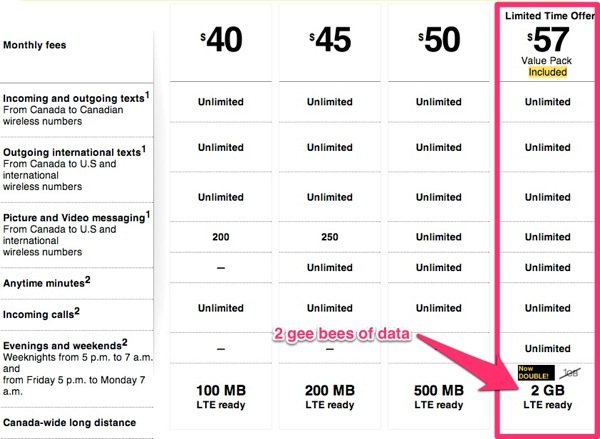 If you happened to jump on Fido’s popular $57 unlimited promo plan (recently extended to Jan. 2013) before Friday’s update which upped the data plan to 2GB, you will be required to contact Fido to get that additional gigabyte added to your plan. 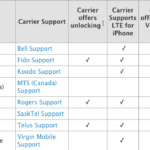 Fido’s data bucket increased when Koodo added 2GB to their similar unlimited plan on Friday (Virgin Mobile followed suit the next day). Fido customers who signed up for the $57 plan before Friday have 1 GB of data. If they want their data increased, customers should reach out to @FidoSolutions on Twitter, or use the live chat function on fido.ca/contactus to inquire about increasing their data to 2GB. So if you haven’t contacted Fido yet, call, chat or tweet them for your extra gig of data.